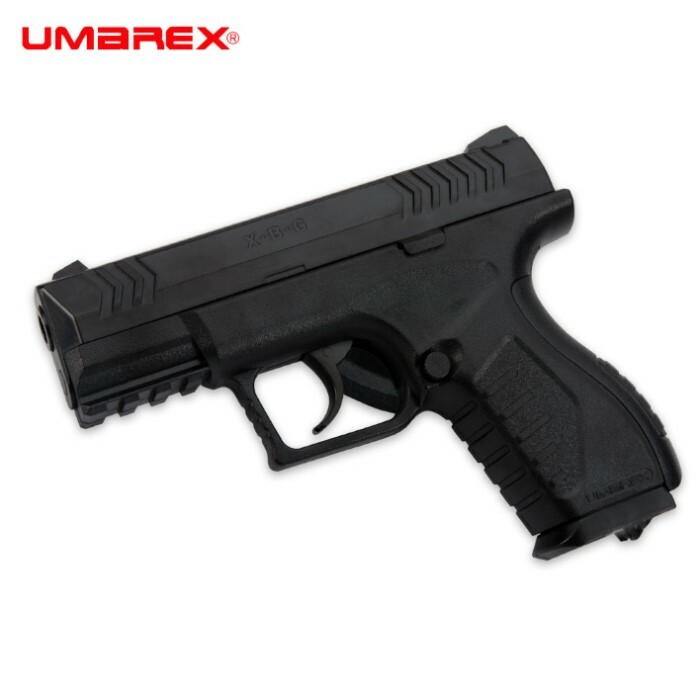 Umarex XBG .177 Caliber BB CO2 Pistol | BUDK.com - Knives & Swords At The Lowest Prices! Barrel length: 4 1/4"; total length: 6 3/4"
The lightweight and compact .177 caliber Umarex XBG BB pistol lets you shoot as fast as you can pull the trigger with its double action. It has a 19-shot drop-free metal magazine for quick reloading and is powered by a single 12g CO2 capsule. The BB pistol has both fixed front and rear sights and an integrated Picatinny rail. It shoots BBs at 410 fps and is only 6 3/4" overall with a 4 1/4" barrel. You get a lot of power and fast action out of this little Umarex! Amazing power for it's size.This gun is well worth it's price and has outperformed more expensive co2 guns i have handled.Truly worth every penny!!! I purchased this to have some fun shooting targets with my daughter. Very easy to use and very accurate. The trigger has a long pull, which takes a little getting used to, but other than that a great deal. We have gone through several clips and are getting more and more accurate. At this price it is a great value. I bought this Umarex XGB and gave it to my husband and he love it so much that he never stopped target shooting. He was so thrilled and said that it was the best gift I gave him. Safety issue mentioned in earlier review is user error only. There are no problems with it...PUSH IN BEFORE YOU SLIDE!! The pistol fires straight and feels good in your hand, just but extra magazines so you're not loading mags all day. 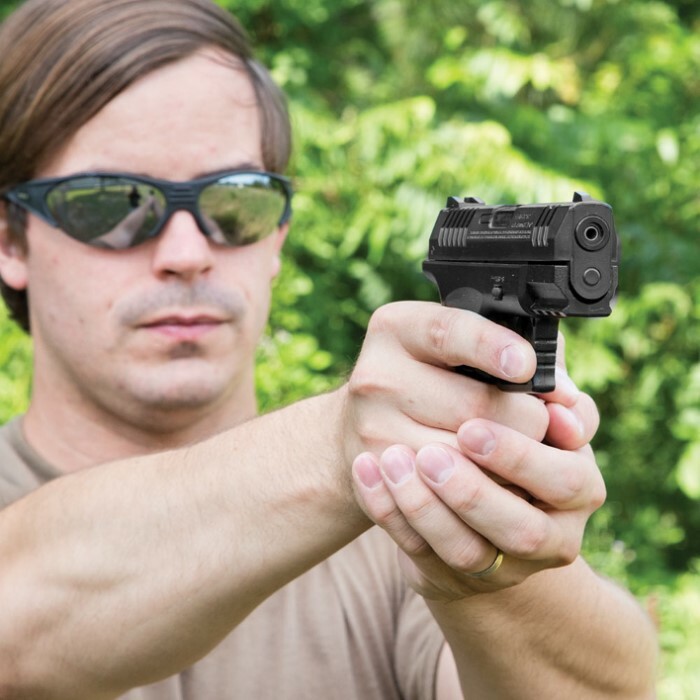 THE BEST PISTOL BASED ON PRICE AND FUNCTIONS. 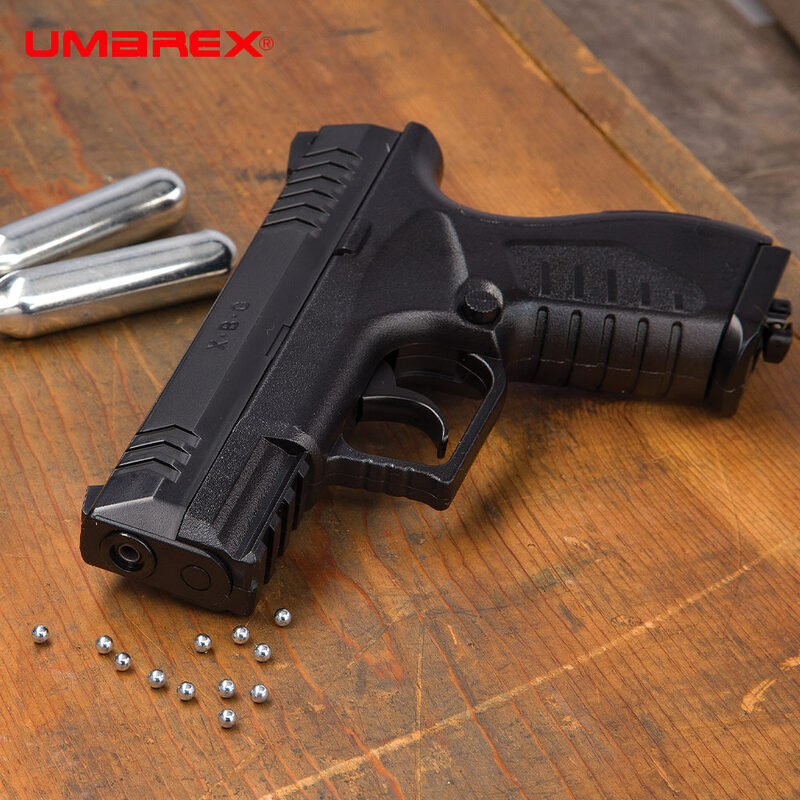 Umarex XGB is a nice beginners air pistol. It is light weight but quite acurate. It shoots well and is fun to shoot. Made of all plastic, I would have prefered a heavier gun however it is a fun pistol to target shoot. Try shooting baloons blowing in the wind ( FUN!!). OMG!!! Just received from the Postman. Opened it, installed co2 ,filled clip with 19 BBs and started shooting. Very powerful,rappid firing....emptied clip in about 5 sec. Fits great in hand very comfortable.Nice weight to it ,feels like your holding a real gun. Love were you install Co2...in back of handle grip. For $34.99, one of the best guns I own. Thanks BudK. Never seem to let me down.